Ensuring that you and your family always have access to clean and safe hot water is of utmost importance. This is why when your water heater malfunctions you need to treat it like a plumbing emergency. Hot water is important in cleaning your clothes, bathing, doing your dishes and cleaning your home among other things. Therefore, make sure to call us immediately for reliable Langley water heater repair services. There are basically two types of water heater models which are the traditional tank-based models and the more modern tankless water heaters. Here is a brief description of each type. These water heaters store water and keep it heated so you can easily use it. Since these water heating units are constantly heating water, they tend to use a lot of energy throughout the day. These are the more modern versions of the traditional water heaters. As the name suggests, they do not come with a tank for holding water. Rather, water travels via water heater and gets heated on-demand. This means you end up using less energy throughout the day, and you will never be out of hot water. The work of the thermostat in your water heater unit is to report the temperature and regulate the water heater. When it malfunctions, the water heater temperature stops to be regulated. Any leaking, whether from outgoing or incoming pipes, need to be immediately reported. They can easily lead to mildew and mold growth if not checked. Most modern water heater units rely a lot on electronic components which are prone to failing or breaking down. Whatever the issue that’s causing your water heater to malfunction, we can quickly check it out and repair it without causing major disruption to your activities. If you leave in Langley, CA and want a reliable plumber to repair your water heater repair, you know whom to call. We are always just a phone call away. What Heater Repair vs. Installation: Which one? You should expect to carry out water heater repair to your unit at least once in its lifetime. There are many reasons that can cause your water to malfunction like electrical problems, physical damage or thermostat malfunctions. However, if you realize that your unit requires frequent hot water tank repair, or you have to deal with constant breakdowns and a remarkable surge in your electricity bills, it could be that you need to install a new water heater. Also, if your water heater has been around for 10-15 years, there are strong chances that it has lost some of its efficiency. You will save money if you replace it rather than repair it. The good news is that at Langley Plumbing Company, our expert plumbers are always ready to bail you out. We are experts in tankless water heater repair and installation. Just call us today for prompt service and minimal disruption to your life. We realized that there was demand for quality plumbers at affordable prices in Langley area. This is why you only get the best value when working with us. We will give you honest recommendations aimed at solving your specific water heater problems. We don’t give you a one-size fits-all or band-aid service. Our work is designed for your specific situation and we do it to ensure the results are just what you need. We don’t cut corners just so we can save a few dollars. We only use the finest products and materials. At the end, we inspect results to ensure every detail complies with building codes and regulations. In the end, you get quality plumbing for decades to come. When you decide to work with reliable water heater repair and installation pros like Langley Plumbing Company, you are guaranteed peace of mind. This is because you know you are dealing with qualified experts. We have your safety and comfort in mind so you don’t have to worry about anything. Our technicians always act and look as professional as possible, and you won’t have to feel uneasy when you let in our plumbing experts in your house. We will happily visit your home and give you free evaluation of your needs. 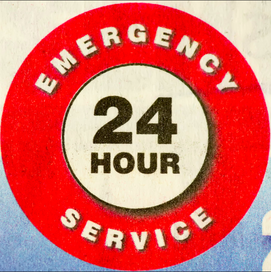 We are not like other plumbers who charge you extra for after-hours services. Just call us and we’ll charge you the same rates. We boast 80 years of combined experience within our staffs, which has enabled us help countless homeowners in Langley area. 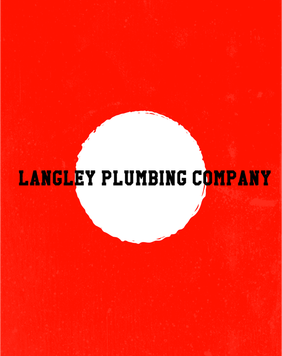 Langley Plumbing Company is your dedicated plumber who will ensure your safety and great peace of mind. Just call us today on 778-800-2732 and our expert plumbers will start work on your water heater immediately. With one of the most dedicated staffs and a combined experience of more than 80 years, we guarantee to provide professional services with honest, upfront pricing. Go on and try us. You will be happy you chose us!